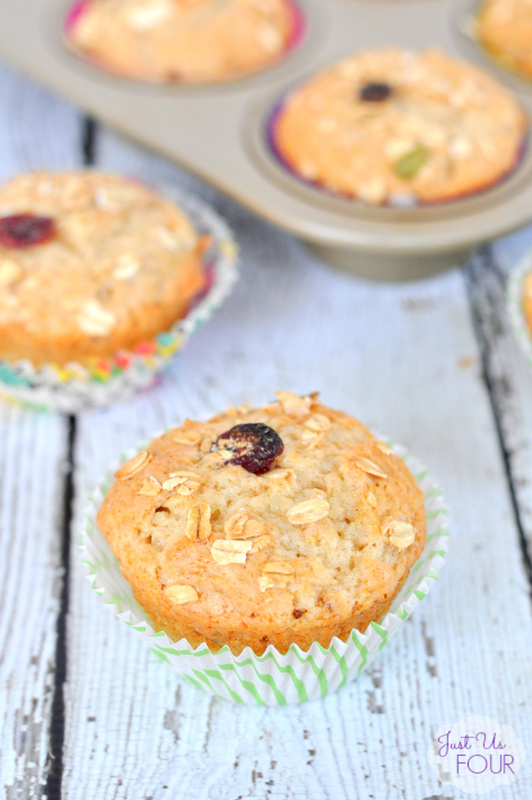 Cinnamon Muesli Muffins - A Delicious Cinnamon Muffin Recipe! 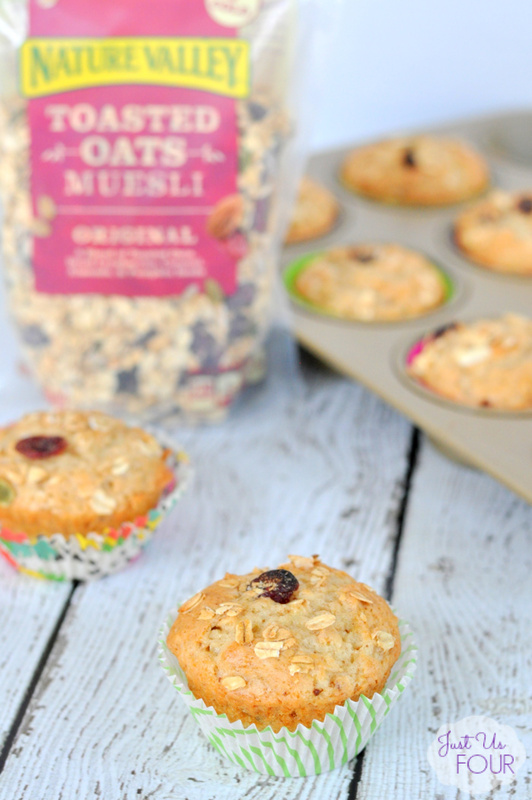 Create the perfect on the go breakfast with this recipe for Cinnamon Muesli Muffins. They are healthy, hearty and perfect for the whole family to eat! I am an eggs and bacon person when it comes to breakfast. Mathlete, he loves muffins and pastries. So, I try to make sure I keep some on hand for him so he can grab one on his way of the door to work or while we are having breakfast on the weekend. He is a huge granola and muesli fan so I work those into the muffins when I can. That is how these Cinnamon Muesli Muffins were born. 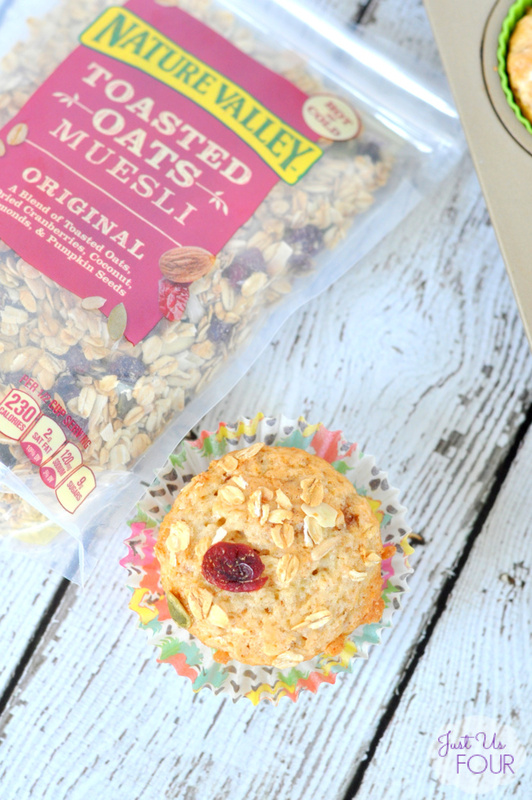 We recently had an opportunity to try the new Nature Valley Toasted Oats Muesli and took part in the five day muesli challenge. Nature Valley Toasted Oats Muesli is a delicious blend of whole rolled oats, fruit, nuts, and seeds. It is lightly sweetened and made with wholesome ingredients you can feel good about eating. Nature Valley Toasted Oats Muesli comes in two flavors— blueberry and original. This breakfast muffin recipe came out so delicious. These homemade muffins are the perfect combination of cinnamon with a little hearty crunch thanks to the muesli. Mathlete has even been eating them as snacks in addition to taking them for breakfast. Our four year old loves them too. Have you tried making a recipe with muesli? It is a great way to add something healthy and hearty into your diet. You can get $1.00 off of Nature Valley muesli with this great coupon! Preheat oven to 350 degrees. Line muffin cups with muffin papers or lightly spray with nonstick cooking spray. Set aside. In a small bowl, combine flour, baking powder, salt and cinnamon. Set aside. With an electric mixer, cream together butter and sugar until smooth. Add eggs, one at a time. Stir in vanilla extract. Stir in 1/2 of flour mixture. Add 1/2 of buttermilk and then the remaining flour mixture. Add in remaining buttermilk and 1 cup muesli. Divide batter between muffins cups. Sprinkle tops with remaining 1/4 cup muesli. Bake in preheated oven for 30 minutes. A toothpick should come out clean when inserted into the center of the muffin when done. Let cool.